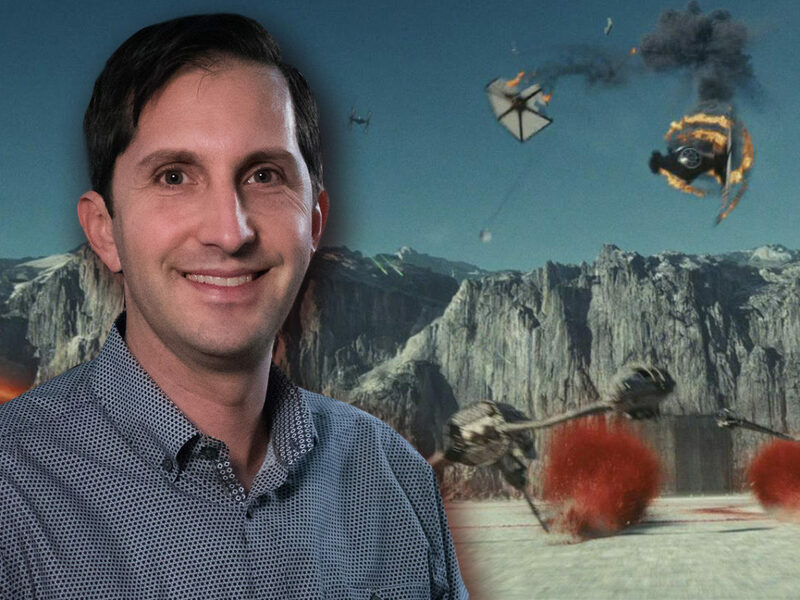 ILM’s Paul Giacoppo, Charmaine Chan, and Jay Machado discuss their career paths, making Rogue One, and much more. From the opening shot until those final moments before the Tantive IV takes off into hyperspace, Rogue One’s visual storytelling takes center-stage in a big way. 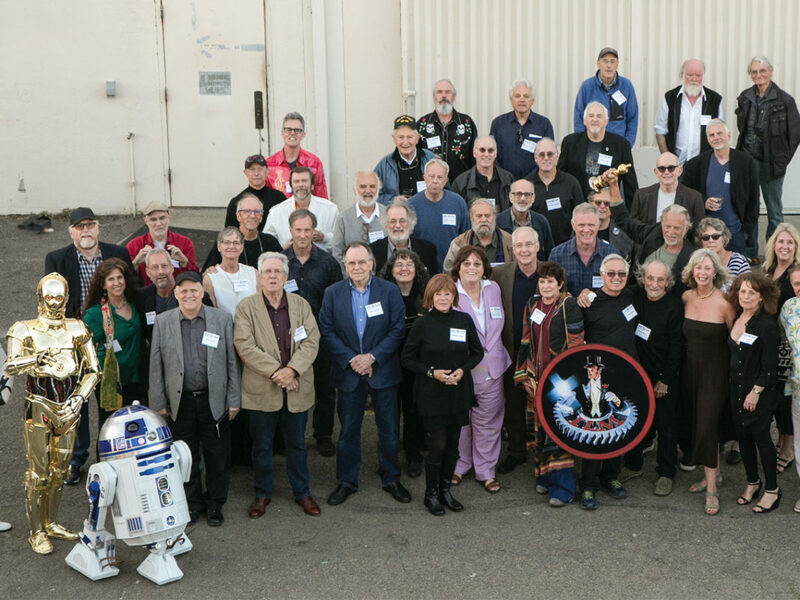 The credits run long for a reason, and that’s because hundreds of people at Industrial Light & Magic worked tirelessly to bring every major visual to life in a way that felt both “classic” and new at the same time. 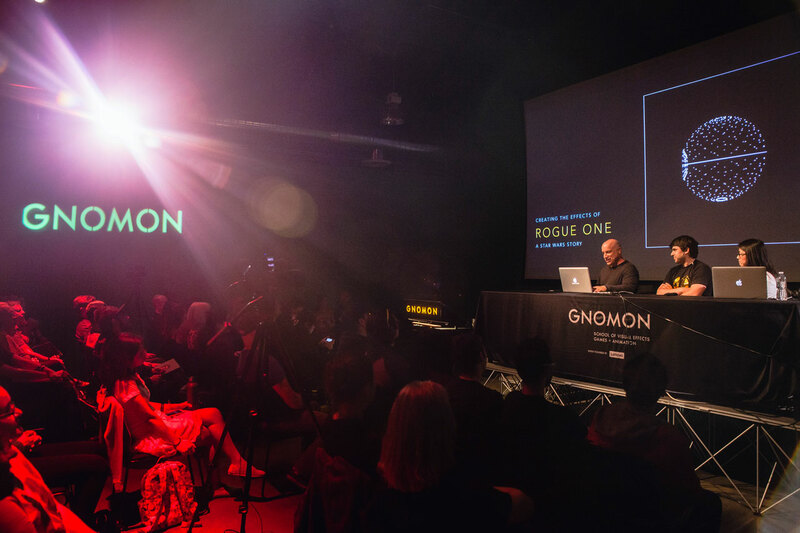 Last month at Gnomon University in Los Angeles, three of those visionaries brought their work to an audience of eager visual effects students in a special presentation called Star Wars Stories: An Evening with ILM. 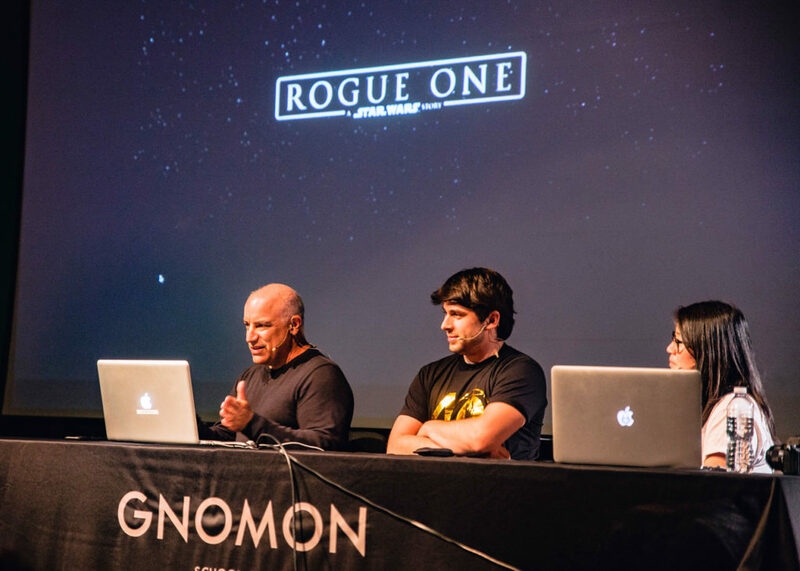 ILM’s Paul Giacoppo, Charmaine Chan, and Jay Machado brought over four collective decades’ worth of experience to their discussion. 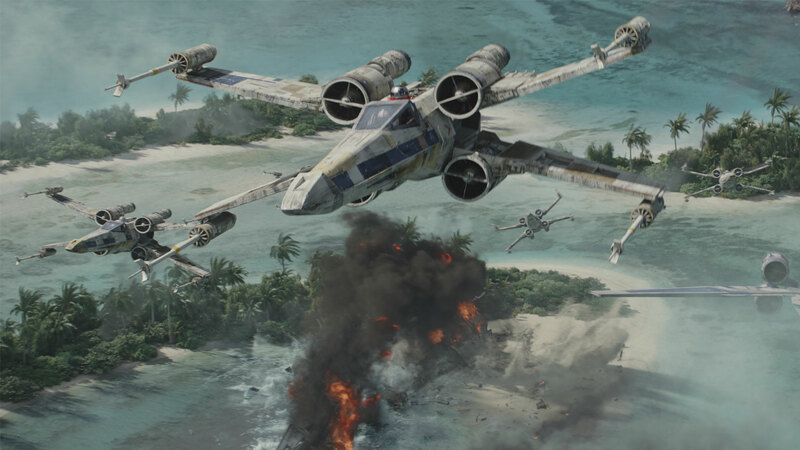 Machado was on the modeling team for The Force Awakens’ Millennium Falcon, and created the award-winning Imperial Star Destroyer that we see rise from the shadows in Rogue One. Charmaine Chan spoke of her history at ILM, illustrating how careers grow and change on the company’s campus. 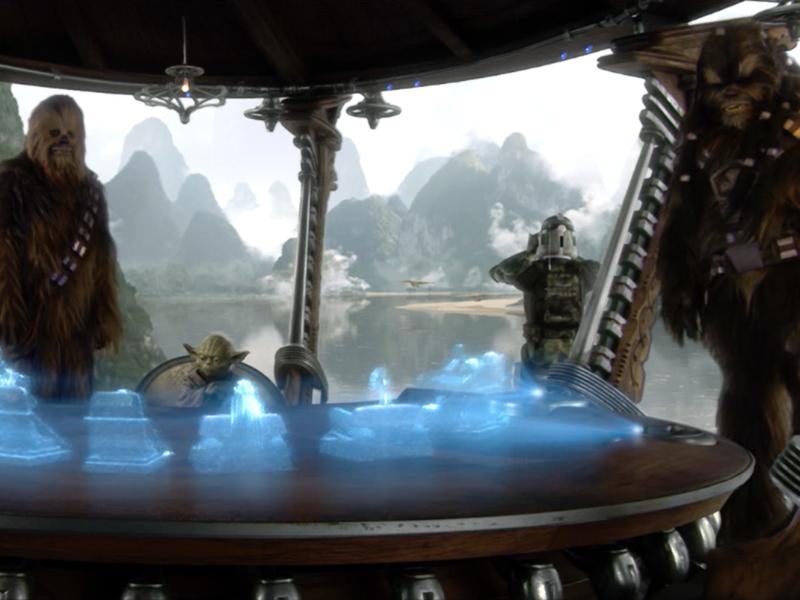 Giacoppo is behind some extremely recognizable work that reaches back decades over the history of Lucasfilm and ILM; the crowd was hooked when he showed off his visually memorable “Hulk Smash” shot from Marvel’s Avengers. Giacoppo dove into set design, then, showing off digital recreations of classic sets that were created by John Knoll, ILM’s chief creative officer and a staple of Star Wars creativity. Knoll, attempting to explain how characters would move through various scenes, created digital set tours practically overnight in order to explain his vision. 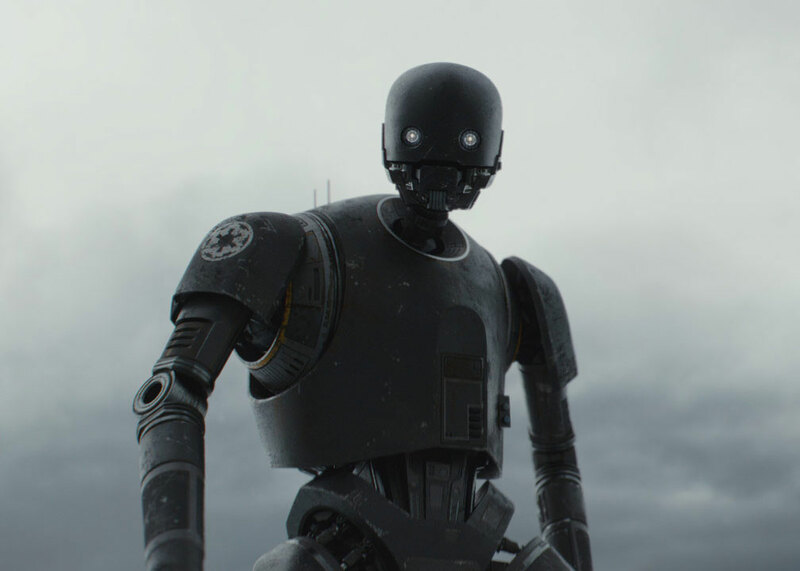 Giacoppo then dove into characters that were created digitally for the film, focusing first and foremost on K-2SO, who he says has been part of the Rogue One story since its original pitch. K-2SO varied greatly from past on-screen droid companions, who were so often cute, or at least a little more friendly-looking. 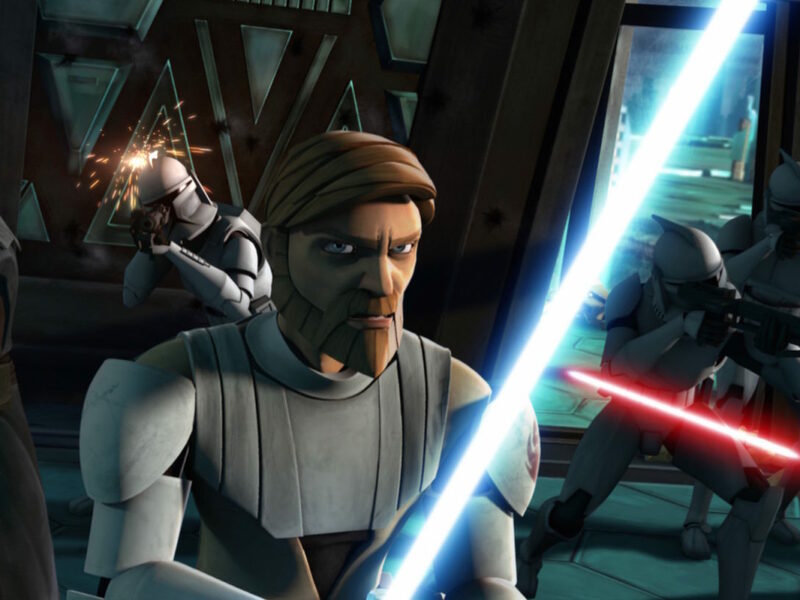 “He’s intimidating, he’s really stealthy, and he’s huge… and he was always an Imperial enforcer droid. 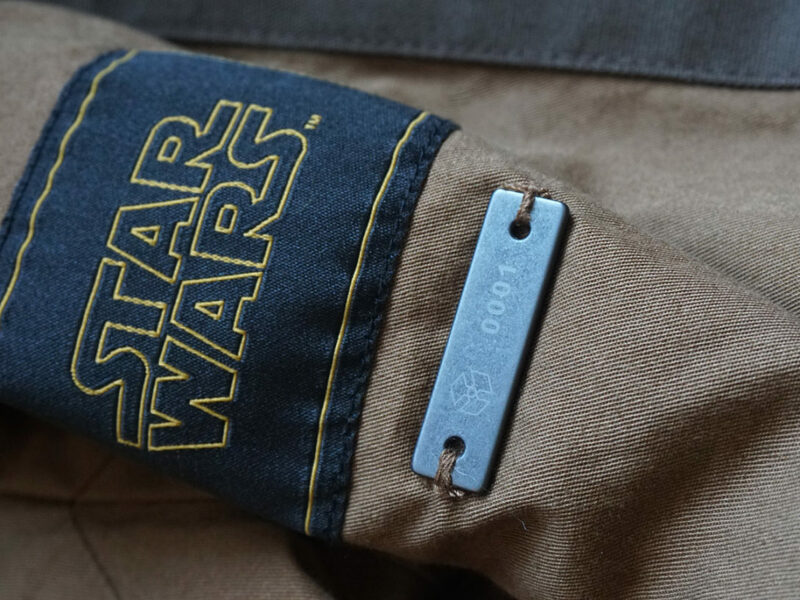 “There was a lot of time spent with the texture artists to get those same materials and weathering we’re used to in Star Wars,” Giacoppo explained, noting the details that showed Kaytoo’s age and length of use. The team took designing Kaytoo very seriously, spending hours on specific details about how he would emote. The team looked at more eyes than one can count on two hands, then went through tests of how they would move — if at all — and how Kaytoo looked when expressing himself. “There was a big push to have a part of him blink, and to have a part of him move his mouth,” said Giacoppo, noting that such a thing is a rarity among Star Wars droids, who often reflect a much more industrial feel in design than most AI-driven beings within the genre. “But it just didn’t feel like Star Wars. See, he’s all blinking and jittering around… there’s too much going on.” With animation supervisor Hal Hickel’s guidance, the team ultimately went with “this sort of more impassive mask”, said Giacoppo, allowing fans to read and “project” emotions onto Kaytoo as they got to know him. As a special bonus, Giacoppo showed a tiny clip of K-2SO playing with toys that paired with some very familiar audio from Alan Tudyk’s Wash in Firefly (“Curse your sudden but inevitable betrayal!). 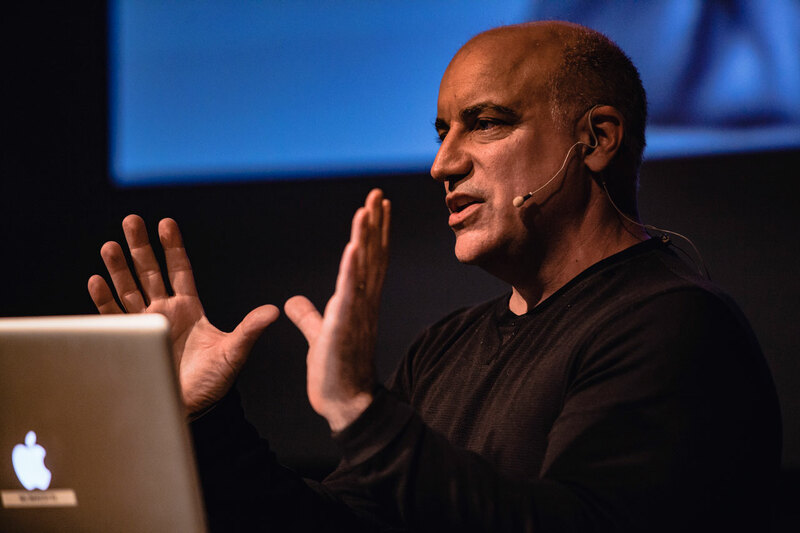 ILM’s Jay Machado, a hard-surface modeler and texture artist, was a welcome and familiar face that evening. 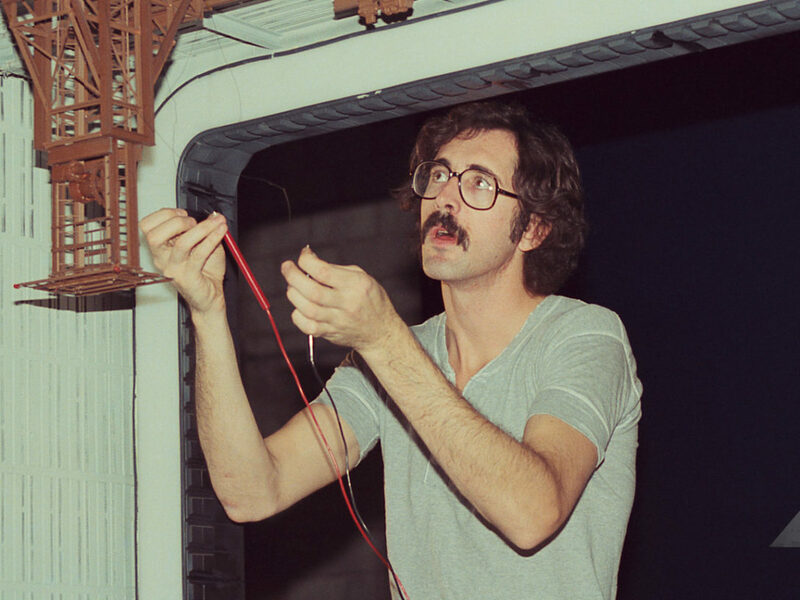 As a Gnomon alum himself, Machado’s post-grad years have been more than exciting. For Rogue One, following his Millenium Falcon re-creation, Machado was tasked with creating iconic ship-looks once again. To set the tone for the talk, Machado showed off that iconic opening shot from A New Hope, where the belly of the Star Destroyer sails over the camera in pursuit of Princess Leia’s Tantive IV. “We wanted it to feel like the exact same era,” said Machado. So, his team at ILM went to the root of all builds to recreate and design ships in Rogue One. “For the ships, we went up to the archives, we took lots of photos, we scanned things, stuff like that — all to get the ships to be just right,” Machado told the crowd. 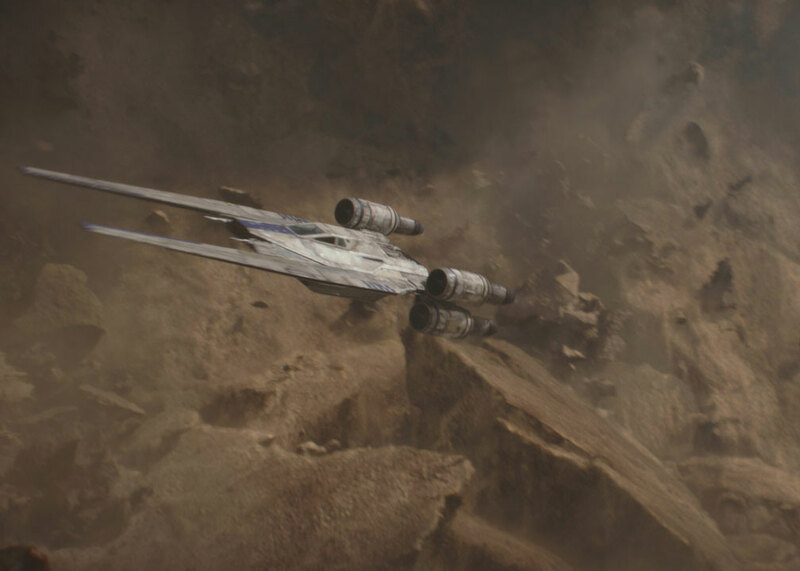 “There’s a few people still working at ILM that we were able to talk to, like [long-time ILM VFX artist and supervisor] Dennis Muren, who [shot] much of this originally, and that really helped when it came to making it accurate. As far as new ships went, Machado noted that the tasks were just as difficult, but worth every grueling second. “Working with Doug Chiang and the art department, we had to design [the new ships] in a way that felt familiar so that they would blend in seamlessly with the ships we know and love.” Machado highlighted the U-wing, Krennic’s ship, and the new TIE strikers, stating that they were kind of meant to “compliment” the U-wing, with forward-sweeping panels and a unique, planet-specific use. What may have been most exciting was the creation of new ships to the canon, like the Ghost from Star Wars Rebels, which featured on screen twice in Rogue One. “It fell to me to actually [build the Ghost] and it was kind of a secret project,” said Machado. “Well, at first it was a secret. Nobody else was supposed to know about it. I was supposed to do this quickly, and I had to design it in between my daily work so that people within the office wouldn’t start getting suspicious,” he joked. There are panels and pieces that might look familiar, too — parts of the Ghost might look similar to the Falcon, and that’s no mistake. One other major ship from Rebels that ended up in Rogue One came all the way from the Knights of the Old Republic games, originally. 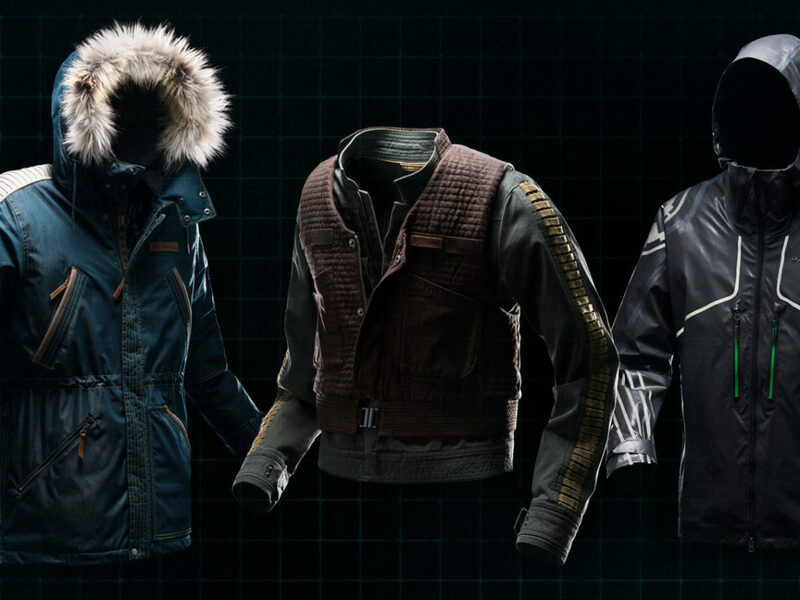 Hammerhead cruisers, which Princess Leia worked with Kanan Jarrus and Ezra Bridger to steal for the Rebellion in Star Wars Rebels, played an integral part in Rogue One, and Machado was among those responsible for their finished designs on the big screen. 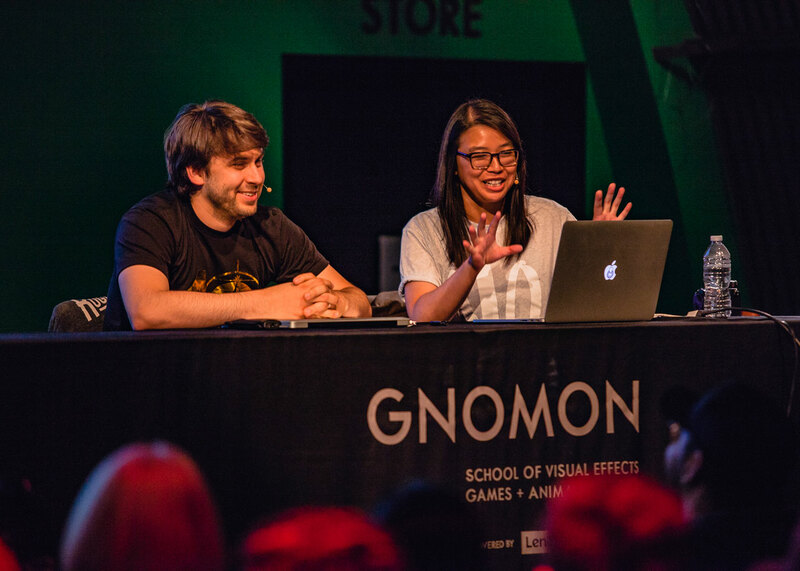 Charmaine Chan’s presentation focused more on the process of growing her career before and after ILM. As an up-and-coming artist who veered off the trail that her parents originally wanted (worry not — they were ultimately supportive either way), Chan hit the ground running by creating work early and producing it every day. Since joining ILM, Chan has worked on more movies than one can count — a once-over of her IMDB page shows credits for Transformers, Captain America: Civil War, Jurassic World, and more. But her beginnings were in Web development. 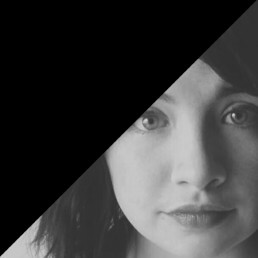 According to Chan, she learned HTML, CSS+, and more “so that I could build Spice Girls websites” as a little girl. As that hobby grew, Chan broke into graphic design, then Flash animation. (As someone who started her career building Star Wars and N*SYNC fansites, this writer can relate.) “That’s what really started all of this, because I started watching movies closer and learning what it took to compose a full shot. There’s lightning, texture, and all sorts of details to consider, which I found really interesting…it really helped me move into this form of art.” Chan took those skills to the next level, learning visual effects, making motion graphics (“You know, like, DVD menus!” she joked) and eventually applying for a digital research position at ILM. 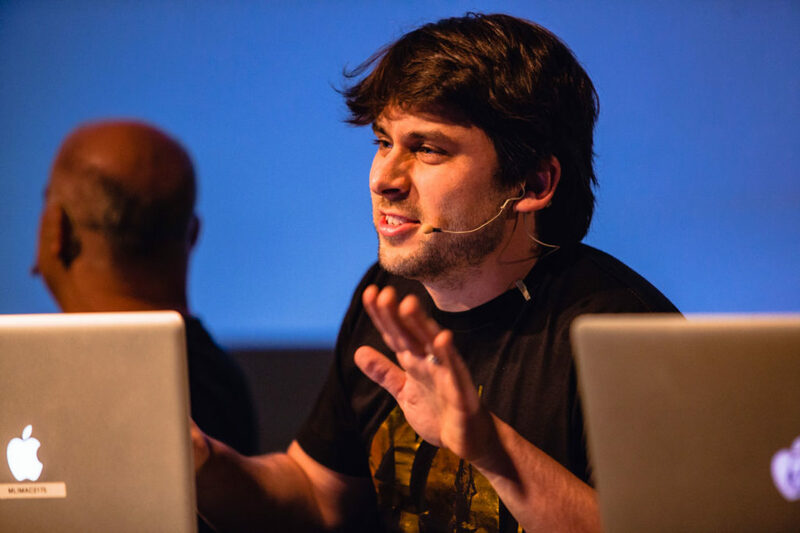 “That gave me a really great overview of what the VFX process is,” said Chan. 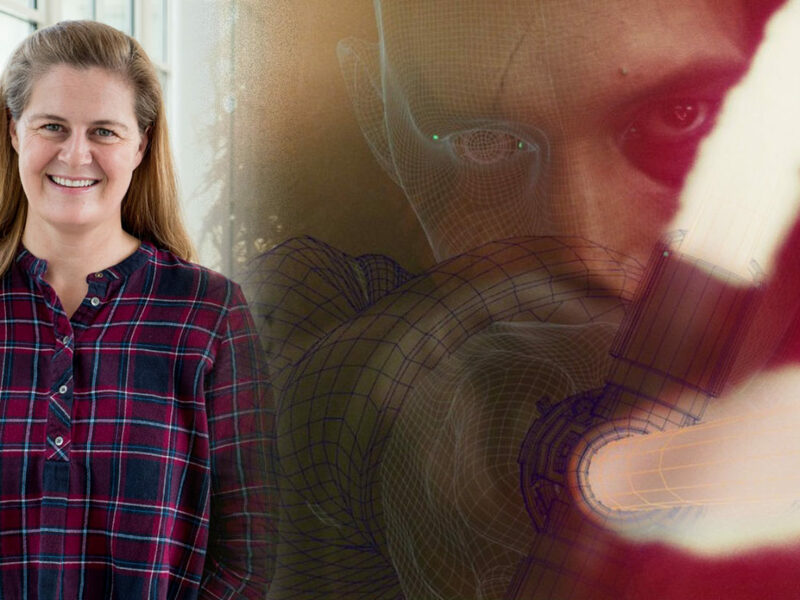 “I got to touch the shots at the beginning and the end.” From there, she kept working her way into a position at ILM that has grown and spanned over a decade, leading to her work as a compositor today. The night was a wonderfully informative look at how the story of Rogue One was brought to to the big screen with stunning, modern, yet familiar visuals. One of the biggest surprises for this writer was learning about the sheer scale of people working on each Star Wars film. Hundreds of names scroll down through the credits after every film, but there’s just something unique and different about putting faces to those names and realizing just how many people it takes to make our favorite galaxy far, far away come to life.